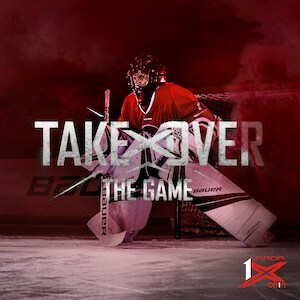 For the first time in his NHL career, Cam Ward needed to come up with something totally new and different for his goaltending mask after leaving the Carolina Hurricanes as a free agent. 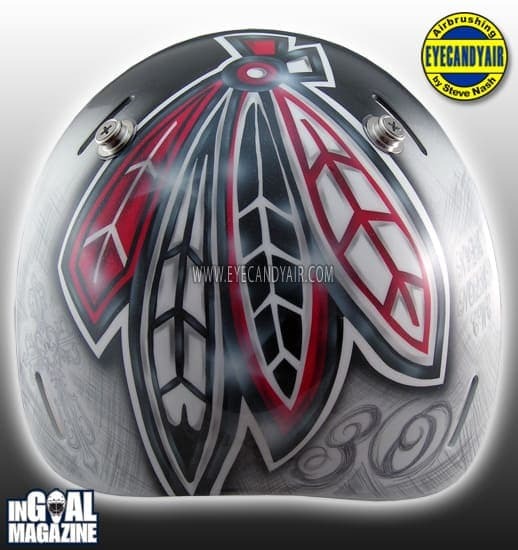 Fortunately for Ward, who signed with the Chicago Blackhawks after 13 seasons in Carolina, he had long-time artist Steve Nash of Eye Candy Air to help, and the iconic logos of an original six franchise to work with. 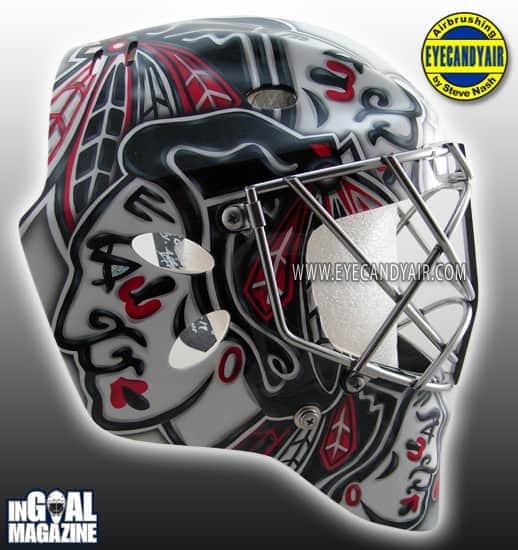 Not that it was an easy process for Nash, who had been painting variations of a Blackbeard pirate theme on Ward’s mask in Carolina for a decade. 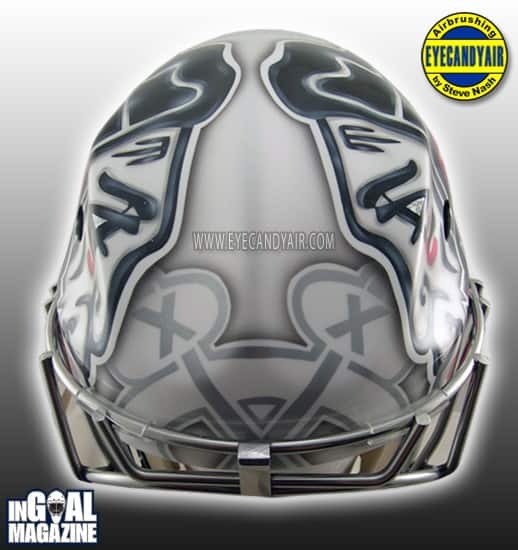 “We also wanted the mask to be seen and easily identifiable from the stands,” Nash said of the big, bold logos. Coming up with something original wasn’t easy. 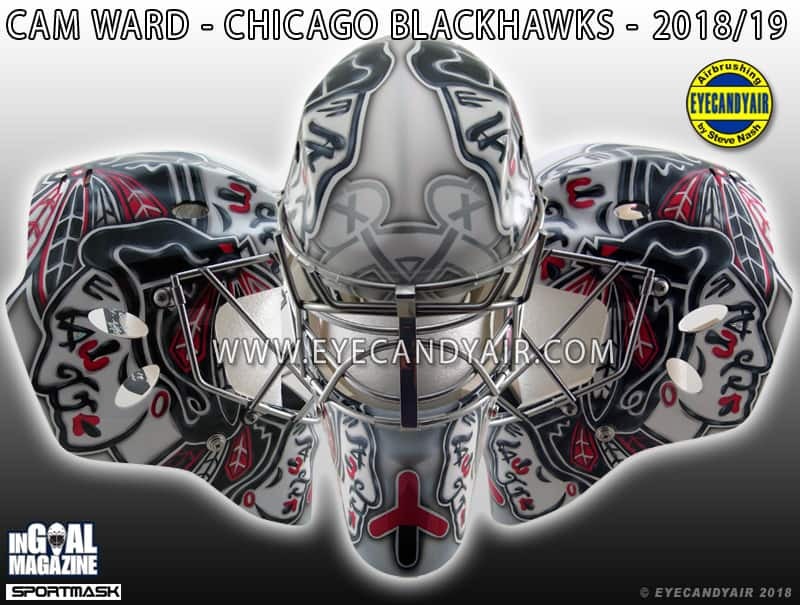 Enjoy all the up-close pictures of Ward’s new mask below, and for more great designs from EyeCandyAir be sure to follow their @eyecandyair account on Twitter, Instagram, and Facebook, as well as the main website. Not liking it. Looks boring as can be. I went to see him play this week against Detroit. He played terrible and was pulled after allowing 6 goals. I hope he turns things around really quick.